WK2 is the file extension for the Lotus 1-2-3 (version 2) spreadsheet file. It was released in January 1983 by Lotus Software (now part of IBM) for MS-DOS, and soon after, became hugely popular, out-selling VisiCalc, the then popular, that very same year. Lotus 1-2-3 is a data file that made the use of spreadsheets easier by adding the capabilities of integrated charting and plotting. It is also the first spreadsheet vendor to introduce cell naming, cell ranges, and spreadsheet macros. In fact, the ‘1-2-3’ with the name ‘Lotus’ was incorporated because the product had integrated three new special capabilities – charting, graphing, and performing simple database operations like sorting data in one or two columns in a rectangular format. Another ‘first’ of the Lotus 1-2-3 (version 2) file is the use of macros with syntax and commands, something similar to an advanced BASIC interpreter. This user friendly file also has both a keyboard-driven pop-up menu and a one-key command, thus simplifying its operation. To make the operation of Lotus 1-2-3 very fast, it was programmed in ‘x86 assembly language’ and written directly to the memory-mapped video display hardware rather than using the slower DOS screen input/output functions. Lotus 1-2-3, with the file extension ‘.wk2’, remained the most popular spreadsheet file until Excel came on the scene, after which it took second place. It now comes as part of the office suite called SmartSuite. 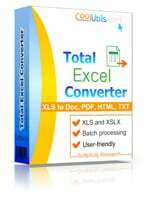 WK2 files may be opened using IBM Lotus 1-2-3 and Microsoft Excel on Windows and Mac OS or converted to PDF, HTML, ODT, ODS, TXT by Total Excel Converter.